Supreme Court directs non-institutional directors of Jaiprakash Associates Limited to appear before it in person next week. Jaiprakash Associates informed the court that it was willing to deposit Rs 700 crore. New Delhi: The Supreme Court on Monday directed the non-institutional directors of infrastucture firm Jaiprakash Associates Limited (JAL) to appear in person before it next week and furnish details of their personal assets. The apex court's direction came in the wake of its September 11 directive to Jaypee Associates to deposit Rs 2,000 crore by October 27 to protect the interests of homebuyers and creditors. The court had on November 6 refused to allow the company to deposit to Rs 400 crore with its registry as against Rs 2,000 crore as directed earlier. Today, a bench of Chief Justice Dipak Misra and Justices A M Khanwilkar and D Y Chandrachud asked the directors to appear on November 22. It also appointed advocate Pawan Shree Agrawal, as amicus curiae and ordered setting up a web portal in order to enable the homebuyers of Jaypee Infratech register their grievances. The counsel for JAL informed the court that it was willing to deposit Rs 700 crore. The counsel for ICICI Bank, with whom the company has its account, opposed the statement of the group saying the process of debt reconstruction of the company was going on and it would not be feasible to release the amount. The bench had asked the firm to consider depositing at least Rs 1,000 crore by today with its registry. It had also restrained the managing director and the directors of Jaypee Infratech Ltd from travelling abroad without its permission and asked the parent company, Jaypee Associates, to deposit the money. 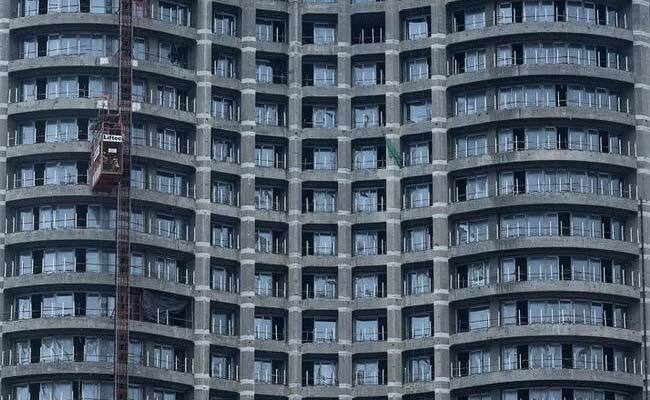 The top court had asked Jaypee Infratech to hand over the records to the IRP for drafting of a resolution plan indicating protection of interests of over 32,000 hassled home buyers and creditors. It also stayed any proceedings instituted against Jaypee Infratech for any purpose in any forum like the consumer commission, as IRP has been given control of the company's management. The court had allowed Jaypee Associates to raise Rs 2000 crore by selling land or properties and deposit them in the apex court registry by October 27. The court had also appointed senior advocate Shekhar Naphade as amicus curiae to assist the proceedings of the IRP, which will submit a resolution plan indicating how to safeguard the interest of home buyers and secured creditors. Additional Solicitor General Tushar Mehta, appearing for Insolvency and Bankruptcy Board, had said that 627 units have been delivered to home buyers since the proceedings against the company began. Homebuyers including one Chitra Sharma had moved the apex court saying that around 32,000 people had booked their flats and they are now dying and paying the installments. Flat buyers, under the Insolvency and Bankruptcy Code of 2016, do not fall in the category of secured creditors like banks and hence they can get back their money only if something is left after repaying the secured and operational creditors, Sharma, in her plea, said. Hundreds of home buyers have been left in the lurch after the NCLT, on August 10, admitted the IDBI Bank's plea to initiate insolvency proceedings against the debt-ridden realty company for defaulting on a Rs 526 crore loan, the plea said.